Holidays to Crete offer the visitor breathtaking scenery, golden sandy beaches, pebbled coves, lush green meadows and arid landscapes. 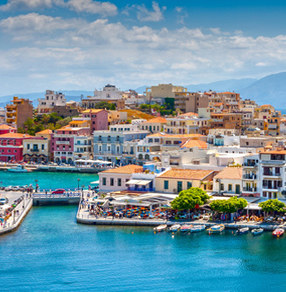 Undoubtedly one of the most beautiful Greek islands, Crete is also one of the most popular. 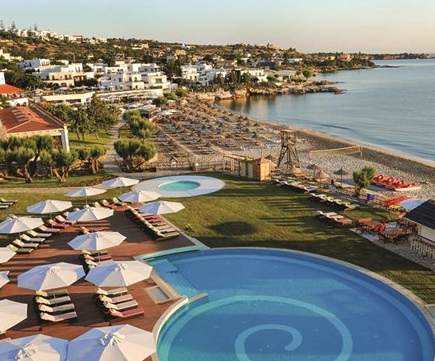 Holidays in Crete are particularly popular with holidaymakers seeking a sun, sea and sand holiday with a difference. 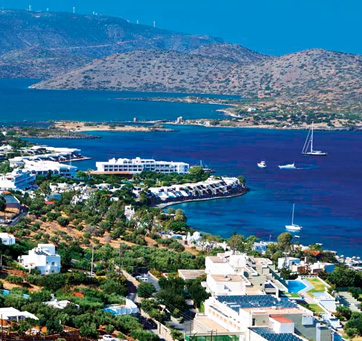 While it's true that the island is popular for its golden sandy beaches and pulsating nightlife, it also features mountainous hiking trails, idyllic villages, bustling street markets and archaeological treasures - in particular the Minoan Palace of Knossos and the birthplace of Zeus. Holidays to Crete have plenty to offer the visitor, with great sites to see both geographical and man-made. 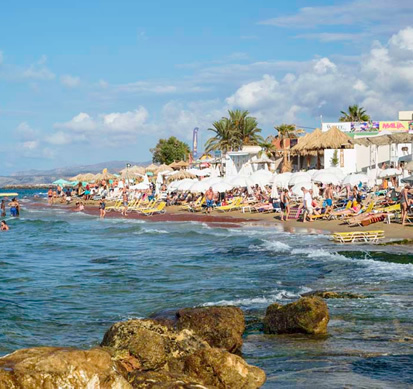 There are every type of water-sports, horse riding, boat trips, golf courses, sea fishing, jeep safaris and a multitude of activities to keep the most active of holiday makers happy. Crete's rich historical past provides endless opportunities to see architecture, visit museums, and ancient archeology. Our customers have recommended an island tour or car hire to see the amazing scenery that Crete has to offer. Not to be missed are Aquaworld at Hersonissos, Elafonissi beach at Elafonissi and the scenic railway (Happy Train) at Elounda! Can't find what you're looking for? Need some help or advice? Give us a call on 0800 849 1285 to speak to one of our team.